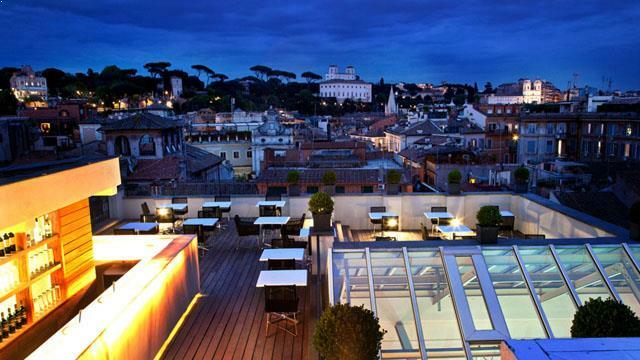 La Terrazza del Cesari is somewhat of a hidden gem, an elegant and exclusive rooftop bar right in the heart of Rome. 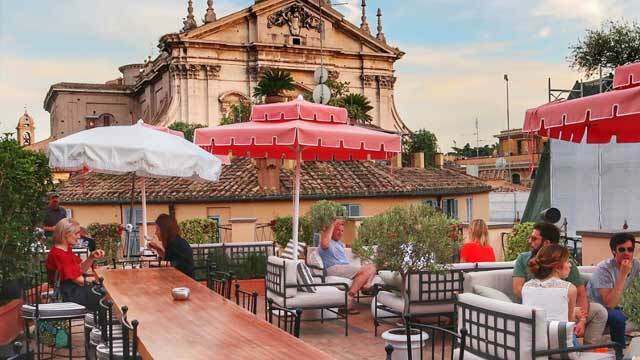 It even comes with two terraces, one overlooking the Piazza di Pietra and the 'upper terrace' with striking views of the Saint Ignatius of Loyola Church. 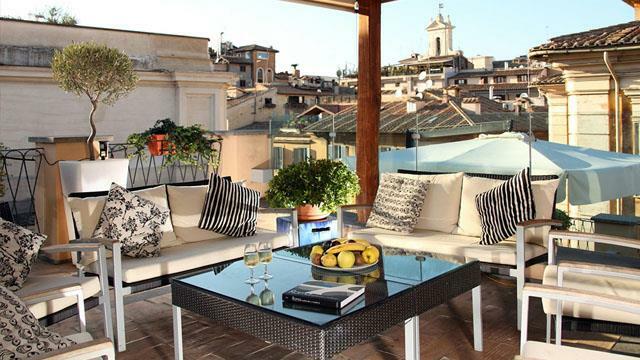 The rooftop bar is situated at the 6th floor of the boutique hotel 9Hotel Cesari, and is open all days of the week. 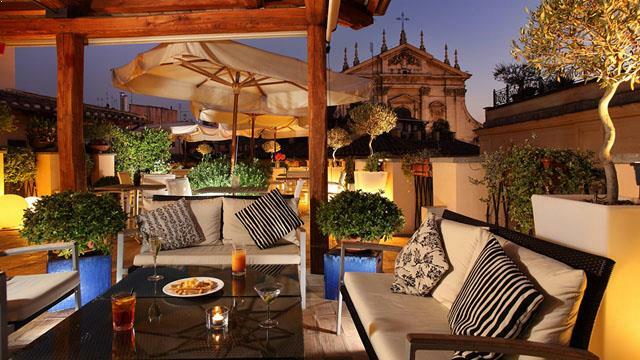 Here you can sip signature cocktails made by the bartender Camillo, a legend among bar staff at Rome's finest hotels. There is also a set of Italian wines chosen specifically for the hotel. No food service at the terrace, but instead the perfect rooftop to visit for pre- or after dinner drinks, or for a realaxing night of cocktails with a group of friends.